Belkin has today announced the launch of its all new WeMo Bridge, that finally brings HomeKit compatibility to over 2 million WeMo solutions on the market. According to The Verge, the WeMo Bridge will allow users to interact with their existing WeMo devices using Siri and interact with them in scenes and rooms that include other HomeKit-compatible devices. Back in 2015, Belkin said it would support HomeKit support to its WeMo home automation solutions but soon after, it put those plans on hold citing difficulties in complying with Apple’s strenuous requirements. Back then, the company had said that it would have to put new chips in every WeMo device. But now, the company finally seems to have solved the issue, by putting the Apple-required silicon and software into the WeMo Bridge. The WeMo Bridge connects to your router over Ethernet and then uses your home’s Wi-Fi to interact with Siri-enabled devices like iPhones, iPads, and Apple Watches. 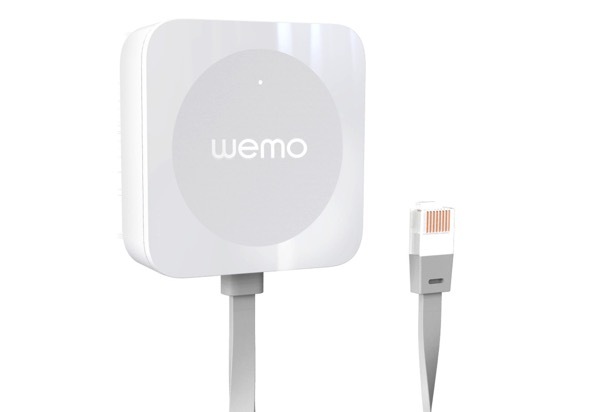 Belkin’s WeMo Bridge for HomeKit is expected to ship later the fall at an undisclosed price.